You may have noticed that we have a thing for the wines of Elisabetta Foradori. Indeed, it was only a few weeks ago that we featured her Ampeleia project in Maremma near the coast of Tuscany. Given the resplendent expression of Ampeleia’s old-vine Cabernet Franc you might think that all of the wines produced from Elisabetta’s projects were of the utmost quality. And you would be right. But it is her family vineyards in the Trentino area of Italy that truly generate wines of unrivaled quality that shine on the international stage. Elisabetta Foradori took over her family’s estate in 1984, at the tender age of 20 after her father’s sudden death. Since then, she has made elevating the native Teroldego grape her life’s work. Over the years she has taken huge steps to perfect the operation. It began with rigorous pruning, harvesting by hand, and replacing nursery clones with massale cuttings from the oldest, best Foradori vines. On the recommendation of her friend, the Alsatian winemaker Marc Kreydenweiss, Elisabetta began the conversion to biodynamic farming practices in 2000. By 2002 the entire domaine was being run biodynamically and full Demeter certification was achieved in 2009. 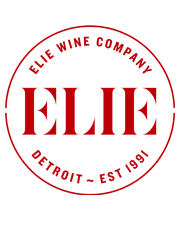 Today, it is her son Emilio Zierock who is in charge of the winemaking while his brother Theo handles sales and PR. 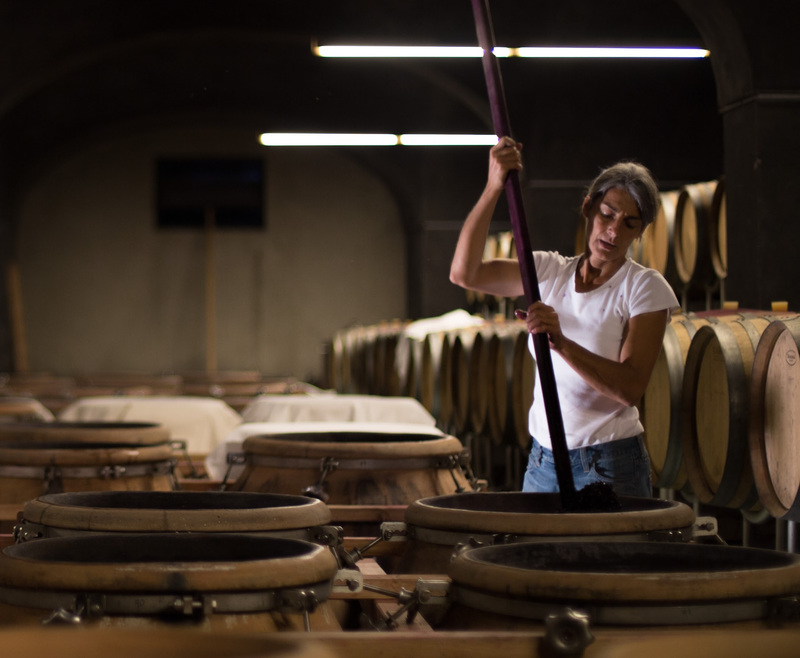 Elisabetta is still very much active at the winery, passing down her painstaking attention to detail and stubborn expertise while collaborating to make the most recent wines. If there were any noticeable change to the wines under Emilio it would be a slight shift toward more floral aromatics and a softer palate. The Teroldego grape is an ancient variety that thrives in the high, sunny foothills and plateaus of the Campo Rotaliano below the Dolomite peaks. No other cuvée illustrates the brilliance of Foradori wines better than “Granato.” It is the flagship wine of the domaine that matures for 15 months in barrel. The Italian word for pomegranate, “Granato” is inspired by the charm, beauty, and intensity of its namesake Mediterranean fruit. The wine is beautifully rich and polished without pretense, and perfectly balanced by a gentle vein of minerality. The blend is harvested from the stony alluvial soils of three different vineyards of the Campo Rotaliano, with faithful adherence to biodynamic principles before fermentation in large, open-top oak casks for a truly unique and world-class wine. There are only about 1,600 cases of “Granato” produced each year. This dedication over the last 30 years to restore Teroldego’s genetic diversity so that the wines would be deeper, purer, and more complex has resulted in Foradori becoming recognized as the top producer in the region. The Foradori estate consists of close to 60 acres of vines, of which 75% are Teroldego. The vineyards are high in altitude and surrounded by mountains yet receive plenty of sunlight to ensure ripeness. The combination of unwavering attention to the vines and natural vinification has created a vibrant and elegant style of Teroldego that is as remarkable as the place that it calls home. Manzoni Bianco is a cross between Riesling and Pinot Blanc. The grapes are sourced from the clay-limestone soils of the Fontanasanta hills above Trento. The wine sees one week of maceration on the skins in cement tanks and one year of aging in acacia wood. The result is a full-bodied white bursting with fruit yet with a focused and mineral finish. About 1,600 cases produced. Party wine! This is a one and a half Liter magnum bottle of amazing. Forget what you know about Pinot Grigio. This is no lightweight guzzler meant to be consumed ice cold. The cuvée “Fuoripista” is at its best around the same temperature you would drink a light red wine. The wine is the result of a cooperative venture between Foradori and another biodynamic winegrower of the Campo Rotaliano, Marco Devigili. It spends more than eight months in clay amphorae in contact with the pink-hued Pinot Grigio skins for a wine that exudes heady aromas of dried flowers and melon. Don’t let its light blush of pink fool you; this is an intensely flavored wine. We have a limited amount of bottles available. The Campo Rotaliano is a well-demarcated geographical area, a flood plain formed by the Adige and Noce rivers recessed between the Dolomites. This entry-level wine of Foradori is from mostly sandier parcels of vines planted from 1956 to 2005 totaling around 25 acres and meant to express the alluvial soils of Campo Rotaliano. Fermented in cement – with up to 20% whole-cluster depending on the vintage – and aged for one year in cement and wooden foudres. About 4,000 cases produced. “Morei” comes from a six acre parcel of limestone and granite rich soils of the Campo Rotaliano plateau. The vines average 30 years old. The wine spends eight months on its skins in clay amphorae (tinajas from Villarrobledo, Spain), untouched until blending. It is then rested in cement before bottling. “Morei” means dark in the dialect of Trentino and the grapes from this vineyard reflect this. Their roots plunge deep in the stones and sand of the soil carried by the river Noce giving rise to a sappy wine. About 1,000 cases produced. Sgarzo means vine shoot in the Campo Rotaliano. Like “Morei” the “Sgarzon” spends 8 months on its skins in clay amphorae. The vines that grow in the “Sgarzon” vineyard benefit from the cooler climate and the sandier soil that distinguishes the parcel, resulting in a more delicate wine than that produced from the stonier-soiled Morei vineyard. About 1,000 cases produced.